But I’m not letting go without a fight. The day I was born, back in the summer of 1984, was one of the hottest of the year. My Dad – so the story goes – stripped off his shirt moments after I emerged so that he could hold this tiny, naked creature next to his bare chest. A primal parental instinct to feel the marvel of Mother Nature, the reality of skin on skin, but also a result of the unbearable temperatures in the stuffy city hospital. I’ve always loved the summer: cloudless skies, sun-drenched days, long, light evenings, cooling ice cream. Give me free rein for a day and I’d happily lie like a lizard, basking in the sun’s rays, soaking up its warmth, drinking in the heat. By contrast, I hate the cold, can’t bear it when it’s raining and could happily hibernate all winter, waking only for a day or two around Christmas to open a few presents and eat one too many mince pies. I have a theory that the month in which you’re born affects the way you feel about the weather. It may be complete rubbish, but – in my immediate circle at least – it rings true. One of my closest friends, a November baby, loves the rain. My Mum, who arrived in March, enjoys brisk wintry walks and fresh autumnal air. Carniverous Boyfriend, born in January, is happiest on a clear, crisp winter’s day while his best-man-to-be, born just two weeks after me, is as easily affected by a lack of sunshine as I am. All this is a very long-winded way of saying that I’m not ready to let go of summer just yet. When it comes to dressing that means flip flops, sunglasses and going out without a jacket. When it comes to eating it means light, bright salads, BBQs every other day and fresh, ripe fruit in every colour of the rainbow. 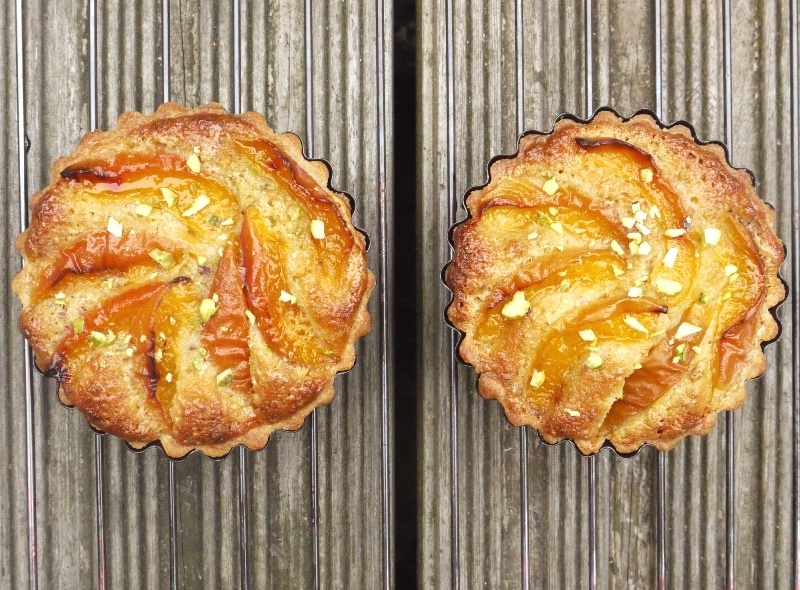 Apricots are something I don’t eat very often – their most regular appearance would probably be dried and chopped in my morning muesli – so I decided to celebrate them at their best and while still in season with a simple fruit tart. 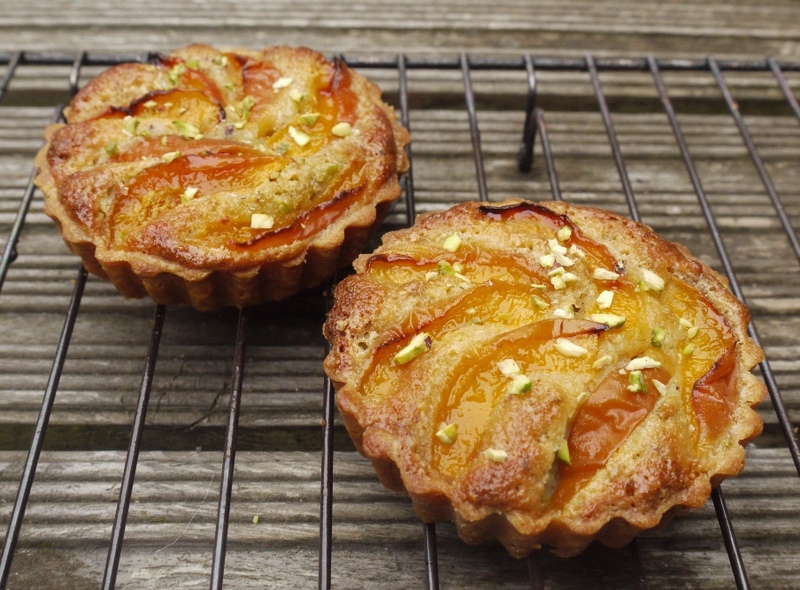 Using a little sweet pastry and ground almonds left over from making these individual treacle tarts and adapting this beautiful recipe from one of my current favourite food blogs, I set about making these little apricot and pistachio tarts. Buttery, flaky pastry meets melting crème l’amandes, crunchy pistachios and sweet, succulent fruit in each unforgettable mouthful. As long as you retain these basic principles of flavour and texture contrast, this recipe could easily be adapted to incorporate different stone fruit or other kinds of nuts. But for now I’m calling it a summer dessert, resolutely holding on to my all-time favourite part of the year. Assemble 8 individual tart cases. Put the flour and sugar into a food processor and blitz. Add the cold butter and blitz again until the mixture resembles breadcrumbs. Add the egg yolks again and blitz until just combined. Turn the pastry out onto a lightly floured surface and knead briefly. Roll into a ball, flatten slightly and wrap in cling film before chilling for 2 – 3 hours. When the pastry is chilled, remove from the fridge and lightly flour a work surface. Cut into 8 equal sized pieces (you may have a little left over depending on the size of your tart cases). With each individual piece, bash the dough out flat with your rolling pin then bring the broken edges in to form a ball. With regular, generous dustings of flour, roll out each disc of pastry to about 3mm thick. Lift the pastry gently, wrapping round your rolling pin if easier, and place it over one tart case. Working fast, lift up the edges of the pastry to allow it to relax into the base of each case and press in lightly. Trim any excess pastry from the edge for a smooth finish, prick the base with a fork then repeat with the remaining seven cases. Pop the tart shells in the freezer until ready to fill – there’s no need to pre-bake them for this recipe. In a medium bowl, cream the butter and sugar until light and fluffy. This should take around eight minutes. Add one egg and continue to beat – at least 2 minutes – before adding the second and beating until well combined. Gently fold in the ground almonds, pistachios and flour until just combined. 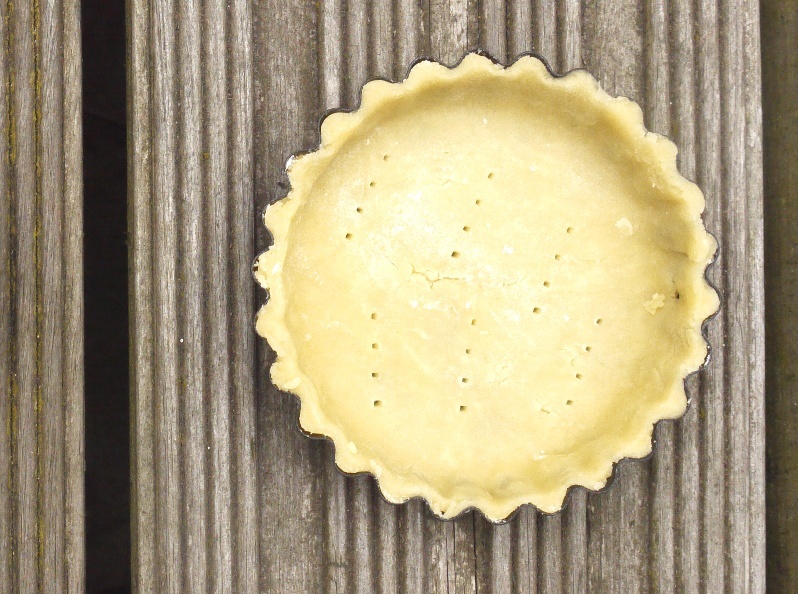 Remove your tart cases from the freezer. Carefully divide the crème d’amandes between the tartlets, filling them just over two thirds full. Lay the apricot slices on top of the crème d’amandes in any pattern you like. Bake in the centre of the oven for 30 minutes, or until the tops are golden and the pastry crisp. Remove from the oven and transfer to a wire cooling rack. Heat the jam or marmalade in a small saucepan with a splash of water until bubbling. While the tarts are still warm, brush with the glaze. Serve at room temperature or warm with cold ice cream or a thick dollop of cream. They look wonderful! Delicious combination. 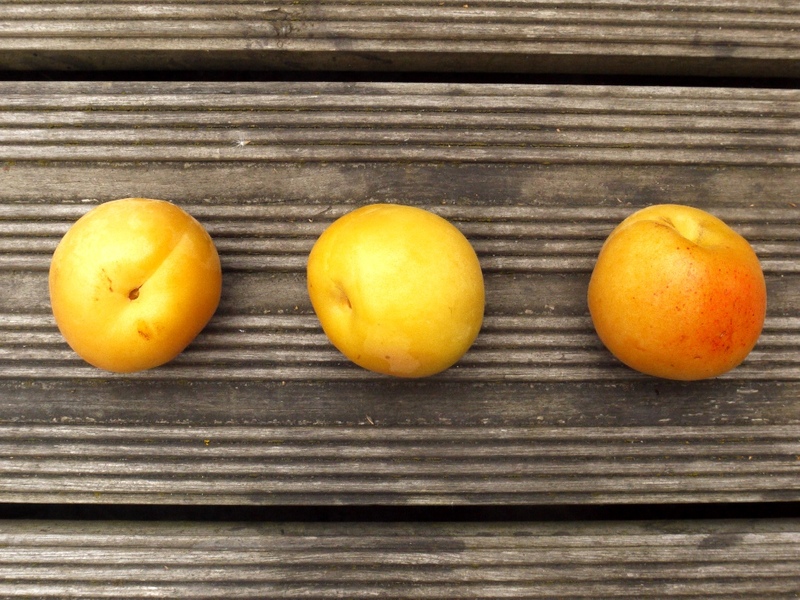 The joy of a fresh apricot. I don´t eat them often either, but you made great little tarts with them. Gorgeous! I was born in winter and though I like summer, it´s my least favorite season! Wow, these are just perfect little beauties. Love the apricots and pistachios together. YUM! The Single Gourmet & Traveller – it’s such a fab combo, completely in love with it. 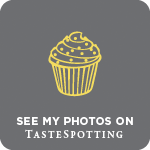 My Kitchen Stories – absolutely! Paula – aren’t they wonderful? But only when really, really fresh. Otherwise it’s all about baking them into tarts! Sukaina – I can’t get enough of nuts in my baking at the moment. And no, I’m not sure my birthday theory stacks up for everyone! Suzi – glad you like them! I’m born in singapore, so it probably doesn’t matter which time of the year it is, it’s going to be sunny. I’m quite like you I really cannot stand the cold, I hate winter and I love the sun. sometimes it gets too hot, but I still much prefer feelign too hot than too cold! the tarts look gorgeous, I love how golden they are, they just remind me of summer with tha thappy yellow glow. I’m a November baby who loves the summer too (although I have already started getting excited that September means my birthday isn’t too far away) but I’m still desperate to hold onto the sunshine and blue skies! 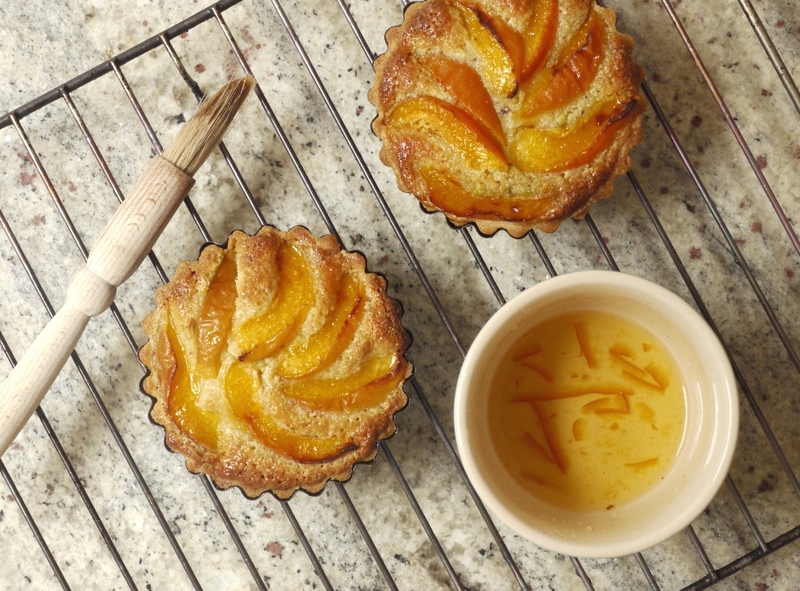 Lovely little tarts, I don’t tend to use stone fruits that often in baking but this has really inspired me to change that! Ah you and I are so alike. I’m the exact same way as you when it comes to the sun (and the cold). Unfortunately I live with a housemate who despises the heat, hates the sun (I know, I know! ), and loves living in a 62 degree F house in the winter. I die!!!!! Like, my soul most very much dies. I’m meant for the sun. Now I just have to find a way to live on the Mediterranean my whole life… you should join me! 🙂 By the way, beautiful tarts. They sound perfect. Your tarts look beautiful. I also love this time of year and the fruits that are around. September is often such a lovely month, maybe because we expect so little of it – often it’s warm and sunny and the light is different too. Unlike July and August which can sometimes be viciously hot but also often such a disappointment. Mind you, I was a December baby and although I love Christmas time I dread the cold months that follow. Shuhan – we’ve had such gorgeous weather this last weekend, I’m hoping it’s going to be an Indian summer! I adore these tarts which look so tempting. I also never eat enough apricots but I do find them hard to judge. They are either too sour or woolly and over ripe. I think they lend themselves to baking and compotes far better than any other fruits. Yours would look good in a French patisserie! these tarts are absolutely beautiful! the colour on them is just perfect! Laura – aw, thank you! And 100% agree, a woolly apricot is a horrible thing. Simone – looking forward to reading your recipe!